There are many stories told in First Nations communities about the lack of cultural sensitivity when it comes to the delivery of health care. Doctors of BC has joined with the First Nations Health Authority (FNHA) to help be part of the solution. At its meeting in March, our Board of Directors approved the Association’s endorsement of the Declaration of Commitment on Cultural Safety and Humility in Health Services. “FNHA commends Doctors of BC for their commitment to partnering with us to advance cultural safety and humility,” said Joe Gallagher, FNHA CEO. “Our vision for Cultural Safety and Humility is based on mutual respect, understanding and reciprocal accountability. Cultural humility builds mutual trust and respect and enables cultural safety. Cultural safety is defined by each individual client’s health service experience. Cultural safety must be understood, embraced and practiced at all levels of the health system including governance, health organizations and within individual professional practice. 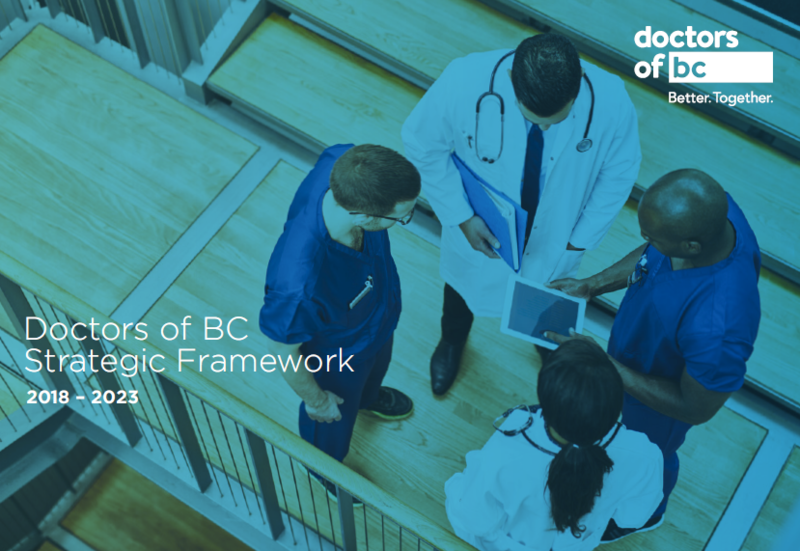 Mr. Gallagher continues, “I want to thank Doctors of BC for their leadership and support for the transformative work we have ahead—the development and signing of a unique declaration between our organizations. We look forward to sharing this historical commitment with the general membership, as well as our people and the health system more broadly.” Learn more about the Declaration and The First Nations Health Authority’s resources here.